Our organization is called Computer Comfort! What is the purpose/mission of your organization? Our mission statement is as follows: Computer Comfort is a volunteer organization that strives to bridge the age gap in Iowa City by educating seniors on today’s technology while building strong relationships in the process. 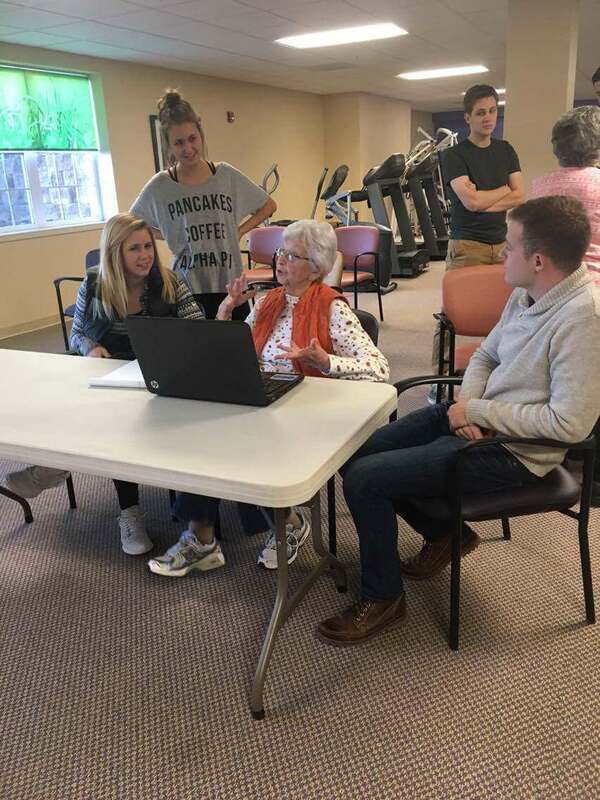 Multiple times a month, we host technology help sessions at multiple living communities and resource centers where seniors can bring their personal devices and ask questions to university students. We volunteer regularly at 3 different venues, one of which being the senior center near Van Allen Hall every other Monday. Others include Melrose Meadows on Thursdays and Sundays, and Walden Place on select dates. What social media does your group utilize? Volunteering with us is incredibly flexible since you can choose to sign up for just 1 session, or as many as you’d like. Each of our volunteers have endless stories from chatting with these members of our community, so come give it a shot!